Click to read the blurb about the book! You can buy the printed (best!) 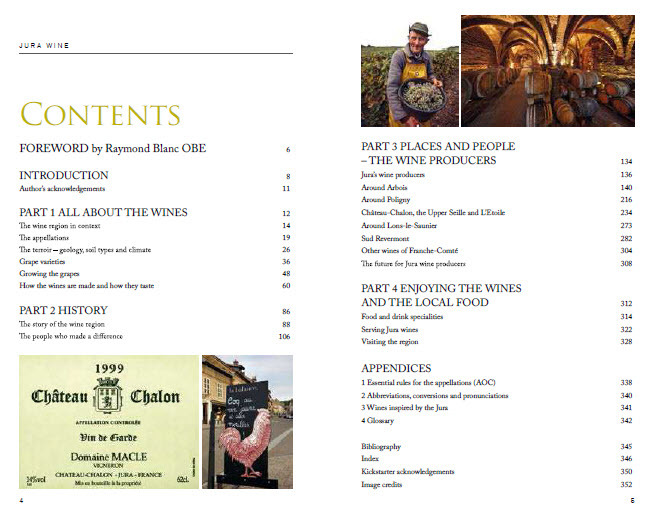 version Jura Wine book now direct from my website Wine Travel Media for delivery worldwide. Published: March 2014; second impression 2015. For wholesale orders of 3 books or more, please contact Wink Lorch for a quotation. The Epub Ebook version is on iBooks. The book WON the Drink category in the André Simon Food and Drink Book Awards 2014. The book was shortlisted for an award in the Louis Roederer International Wine Writers’ Awards 2014. “I just received your book. I must say – it is even better than I hoped – and my hopes were high.